Click Above to find out how you can save $50 on the world’s best waders. TYING A ROJO MIDGE***OLDER VIDEOSHIGH/DIRTY WATER TACTICSFEEDING TROUT HOPPERS/SLINGSHOTHOPPER TAKES ON THE SOUTH PLATTESMALL CREEKING ON A LOCAL GEM WE ALL DRIVE BY AND NEVER GIVE A SECOND GLANCE. IT PAYS TO EXPLORE!!! 15% OFF all tying Material for those who attend! Bob Streb is the streamer fishing authority in the Vail Valley and we are very fortunate to have him in the shop this Saturday. The streamer tactics he has developed over the years along with his streamer patterns were recently featured in the fall issue of American Angler. 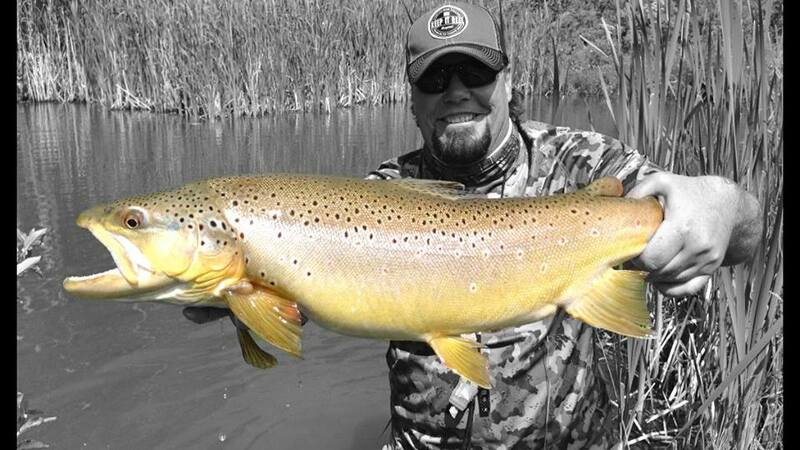 Bob will be explaining his approach to streamer fishing and tying some of his Fall favorites. This is a don’t miss presentation for those who want to learn more about the phenominal fall streamer fishing Colorado has to offer.Complimentary breakfast and drinks will be provided.MAKING TV: SNEAK PEEK! This week Minturn Anglers top guide helped co-host an episode of hooking up with Mariko Izumi to show later this year on the world fishing network. Here is a sneak peak at part of the five species grand slam! For more on the show visit the “Hookin’ Up” Facebook page HERE!